HowAboutWe.com - innovative switch to normal online dating! I was turned on to HowAboutWe.com a while back by an old buddy of mine, and when he told me about the concept behind it, I found it was a pretty neat way to incorporate the world of Online Dating into read time dating. By proposing date ideas, it’s a good way to filter out a potential partner’s interests. But, how did it work out? It’s got a cute signup process, asking you seemingly random questions like what your first concert is, or the best place you’ve ever been to. I do appreciate the fact that they still include the religion question, because I’m sorry, I’m not into the overly religious (no offense intended). Once you are through there, you can take a look at other date ideas from other members. From the homepage, you can also click on the Surprise Me button, which will then auto populate the date idea and location for you, just in case you are having difficulty coming up with a game plan. Get our 100% Offline Guarantee. 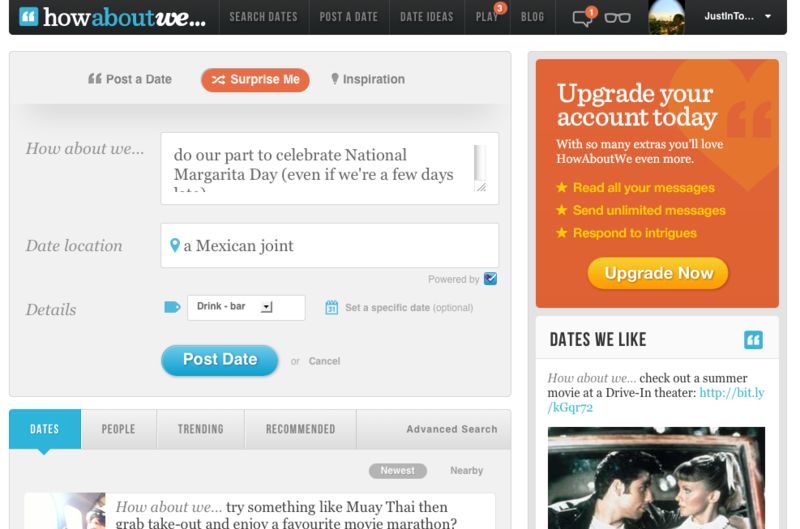 I found the Speed Date feature to be pretty awesome. Basically, they show you a brief summary of someone that they think you might be a match with and you can choose to skip them or say Yes. There’s also the Daily Dates, which are 5 matches they choose for you based on your answers to questions and the geographical area. They also have a mobile app, for dating on the go and in real time. 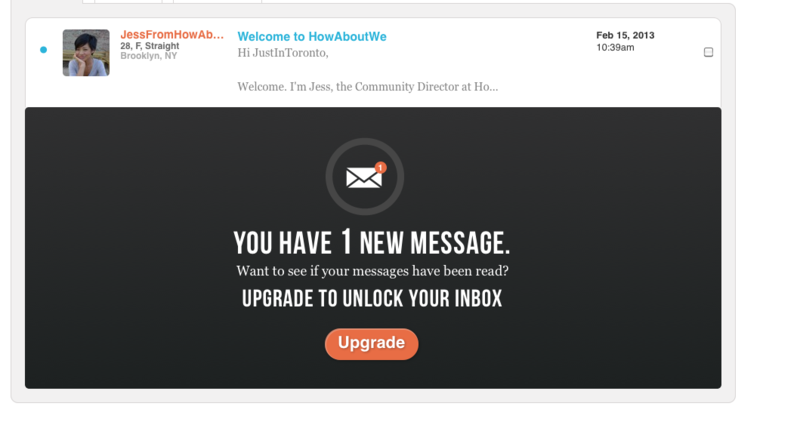 One thing I found really interesting was the amount of resources available on HowAboutWe, such as dating tips and date ideas. 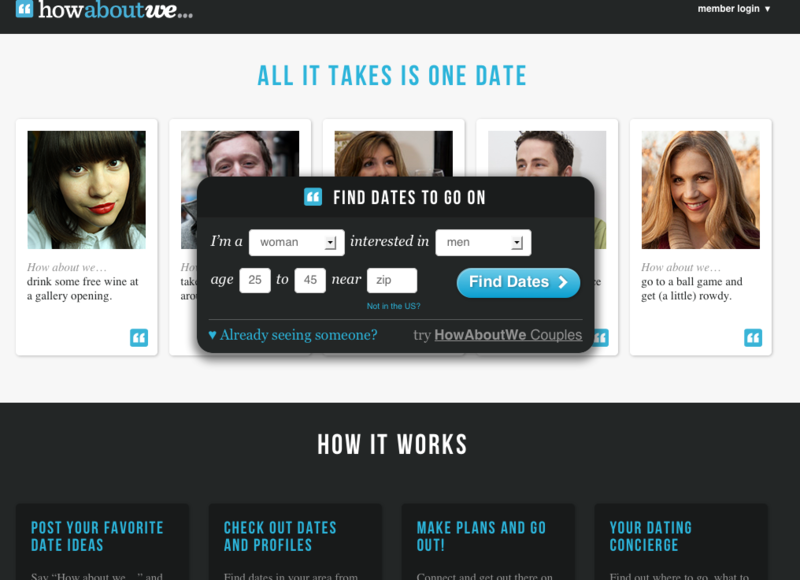 I found this to be a great idea, especially given that the idea of the site is to set up an in-person date. The site was pretty decent, with only a few small issues that I came across. Namely, the fact that I am kind of choosing someone based on one brief date suggestion. But that was also the refreshing fact of it too, because then you can spend more time getting to know them and not relying on their profile to fill in the blanks. Another small detail is the fact that they do the auto-renewal program. So if you choose not to continue your membership, make sure to cancel! So what did my stats end up being from HowAboutWe.com? I ended up going on 10 dates, and scored with 5 of them during a 3 month membership. If you are willing to put in the effort to get to know a few people, then I think it is worth a try. If nothing else, you could end up making a great female friend that will be your wingwoman at the local bar!